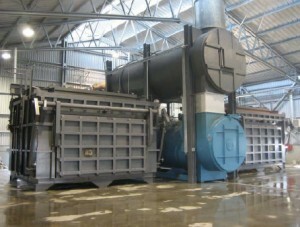 Waste = a useful resource – post recycled waste, unprocessed municipal solid waste, commercial, industrial, agricultural, biomass, RDF, hazardous or bio-solid waste are all feedstock for our sequential and continuously fed Batch Oxidation System (cBOS) which has proven beneficial over many deployments. Increasing recycling is also part of solution, if there is a feasible market for the recyclables and the energy required to recycle emits less emissions than treatment. We frequently work with Materials Recycling Facility and Anaerobic Digestion technology for optimal waste solutions. It is important to note that our gasification facilities are not incinerators. 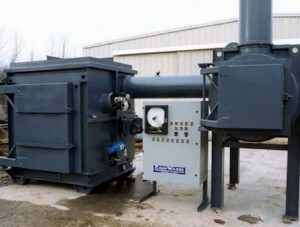 An incinerator is designed to burn (incinerate) waste & produce ash that is usually disposed of in a landfill. 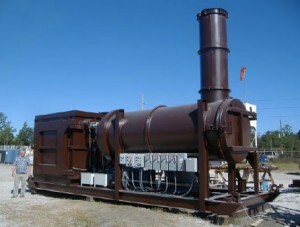 We deploy long proven gasification/oxidation technology that cleanly burns gas from waste in an enclosed system and produces 5% or less inert ash that can be sold or used as aggregate. Along with clean waste destruction our cBOS systems are ideally suited for local or regional energy production – from 60 to 360mtpd is our ’sweet spot’. They are ideal cost effective localized plants rather than capital-intensive centralized plants. Our clients are defined by the principle of decentralization, sometimes referred to as the “proximity principle”, whereby the waste is converted into energy used close to its source.This avoids transport costs and emits less greenhouse gas (GHG) emissions than landfilling. While unsorted municipal waste is the most common feedstock, our Batch Oxidation System cleanly gasifies a diverse range of waste streams including municipal, commercial, medical, construction, demolition, Haz Mat, liquid, tires, treated sewage sludge, animal/fish remains, industrial and process waste, facility-generated waste streams from mines, oil fields, military, hospitals, resorts, commercial, industrial or other installations. Optional additional clean electrical power is now much sought after and suitable for communities and organizations, typically with more than 20 mtpd of waste. Decentralized or Centralized Model, not triggered by critical mass. Deployed Globally, highest standards – EPA, CDN, EU, SEPA (Scottish Environmental Protection Agency). Simple, intelligent and modular design. No need for sorting or pre-processing of waste required. Accepts complete waste stream spectrum (solid/liquid). Cleaner emissions than central power plants i.e. Natural gas, Coal. Bottom ash is non-toxic and useful as aggregate. Cuts landfill waste to zero or near zero. Scalable to allow for changing demand. cBOS can process post-recycled waste, municipal, medical, industrial, oil, sewage sludge and other waste streams, COR handles more uniform feedstock.